Isiah Factor | The Insite » HOUSTON RAPPER WILLIE D LAUNCHES SKATEBOARD COMPANY! HOUSTON RAPPER WILLIE D LAUNCHES SKATEBOARD COMPANY! 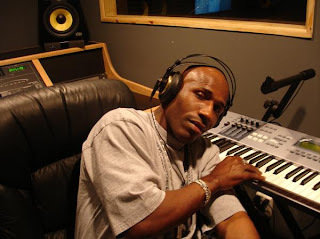 December 29, 2008 | Posted in Uncategorized | Comments Off on HOUSTON RAPPER WILLIE D LAUNCHES SKATEBOARD COMPANY! Geto Boys member and businessman Willie D has taken a huge step forward in becoming a major player in the skateboard community. Earlier this month he announced plans to manufacture and distribute Relentless Skateboards which will role out in early March, 2009 and feature board designs endorsed by Willie D, his new rap group Huntzville, pro skateboarders and a host of interesting pop culture figures. The company’s mission is to expand the infectious relationship that the music world shares with the skateboarder world by offering top quality boards and apparel and holding skate competitions featuring Hip Hop concerts to promote the Relentless brand and give back to the skate community. Riders and spectators will get a chance to see and test ride the inaugural Relentless Skateboards line in March, 2009 at the official launch celebration to be held at Southside Skate Park in Houston, Texas U.S.A.. Riders are encouraged to sign up to compete for cash and prizes. There will also be a performance by Huntzville.